UFO SIGHTINGS DAILY: Learn From An Alien Abductee About What Really Happens When They Come For You, Feb 2017, Video, UFO Sighting News. 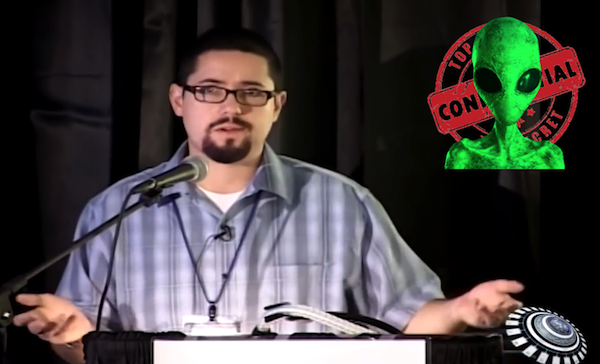 Learn From An Alien Abductee About What Really Happens When They Come For You, Feb 2017, Video, UFO Sighting News. Alien have a recorded history of studying humans for thousand maybe millions of years. To do this, few would be brave enough to volunteer, so alien have to do it the hard way...abduct the subjects. This way they can keep track of data and how things effect them over time. Most of the time a person in not abducted once, but many times over the lifetime of the individual. Often victims are implanted with a small piece of technology that tracks, monitors and even influences the person. Watch this fantastic 59 min video and believe me when I say, it will change your thought on abduction forever.